“For Zion's sake will I not hold my peace, and for Jerusalem's sake I will not rest, until the righteousness thereof go forth as brightness, and the salvation thereof as a lamp that burneth” (Isaiah: 62:1). The first part of this verse is the motto of the Imperial Orthodox Palestine Society. This motto sums up the content and nature of the history of the Christian Churches and groups in the nineteenth century in Palestine and Jordan. The traditional Christian leading institutions such as the Orthodox Patriarchate and the Franciscans Custody of the Holy Land did not stop working for the sake of Jerusalem. The leading modern institutions such as the Latin Patriarchate and the Anglican Bishopric did not stop working either “until the righteousness thereof go forth as brightness, and the salvation thereof as a lamp that burneth.” This “brightness” was manifest in a series of institutions, parishes, schools, hospitals, seminaries, and institutes from which all sectors of the Jordanian and Palestinian people benefited in terms of education, culture and spirituality. The Christians living in the darkness of the Ottoman age, welcomed the services and the brightness of Churches in the Holy Land. The structure of these Churches grew and developed in the nineteenth century under opportune Ottoman circumstances and convenient international relations between the Great Powers and the Ottoman Sultanate. These relations were not available in earlier centuries. I will not repeat the discussion of this development and its related factors at the end of this research of mine because I discussed it in detail in the previous pages of this book with the utmost possible knowledge, understanding and objectivity. It seems at first glance that the nature of the development in this structure of the Churches could look weird if viewed in terms of the concepts believed by contemporary man. The reader surely understands that the overall events that have been reported in this book occurred in the nineteenth century within the Ottoman concepts of millet and capitulation. These two systems were not invented by the local Churches, but were part of the very system of the Ottoman regime that was imposed on the Christians and on other religions and peoples. This situation required the intervention of the Great Powers then in the affairs of the Churches, not because they were invited to intervene by the Churches, but because of the nature of the Ottoman systems of millet and capitulation; where Church and state were not separated, and thus, religious, political, ethnic and sectarian forces battled one another over the vast Ottoman arena of diverse ethnic and religious factions. I am saying this not to justify the facts that involved the history of these Churches by the standards of twenty-first-century intellectuals, but for the purpose of understanding this history from within, the history that was recorded in the nineteenth century under circumstances and conditions, which are certainly different from our contemporary age. What we have today is something closer to the concept of the modern state, nation and homeland, to the concept of equality in rights and duties, a concept that is far from the mentality of the millet and capitulation. The law of life dictates development, and development is not restricted to the history of the Church, which I recorded in this book, but falls within the context of the general development of the region. One may ask how was the Ottoman age, with all its legal and life dimensions, concluded? How did the Church enter the twentieth century? How did the millet become a nation, capitulation become a duty, forced labor turn to be voluntary work, Jizyah become an income tax, and the schools of the monasteries develop to public national schools? The Great Arab Revolt was certainly one of the magnificent landmarks of the development of our region, which included the formation of the modern State of Jordan. The Great Arab Hashemite Revolt, not only had a political dimension of liberation, but also had a social and intellectual dimension. It revoked the concepts of millet and capitulation as well as the Ottoman perception of how peoples should be ruled. The Revolt also restored to the country and to its people, to the ingenuousness of Arabdom and the relative tolerance of Islam comparing with the Ottoman age, and these were ideals that were cherished by the martyred and cultured leaders of the Revolt. Christianity was again welcomed in the heart of the Islamic world under a Hashemite constitutional monarchy, exactly as it was once under the Rightly-Guided Caliphs (Al-Khulafa-ur Rashidun), the Umayyid and Abbasid Caliphs. Christianity is now enriching and is being enriched by the treasure of the Arab-Islamic civilization, which is part of the existence and life of the Christian Arabs, who can never be alienated from this civilization. Christianity and Arab-Islamic civilization coexisted peacefully, accepted and mutually complemented each other. Limited relations developed among the Christian Churches that were neighbors in the Holy Land. However, these relations have not always been a factor of unity or rapprochement as much as they were factors of division and conflict. This situation forced on the Ottoman authorities and the Great Powers to intervene as arbitrators among the parties to the conflict. It is truthful to say that the Great Powers were not just arbitrators, but parties in the conflicts, mainly in the holy shrines issues and the jurisdictions of ecclesiastics. The Churches of the 19th century did not conclude agreements or form coordination committees for their work and activities. Each acted separately with a spirit of competition with the other Churches. These Churches, with their various trends and affiliations, sponsored the opportunist sectarian mentality, which was not always committed to the Christian faith. Thus the Christian Arab, in Jordan and Palestine, continued to be a stranger in his own Church, which was competing to win over his satisfaction and sectarian loyalty. These Churches did not prepare him to hold leading posts, or to voice his views about the realities governing him, or to shoulder his responsibilities by himself, with the exception of rare cases. It is probably history that works for the maturity of man, not vice versa. Local Christians of the Holy Land didn’t make their own history in many ages and circumstances, but history was made for them through international relations. Therefore, let us wait until the opportune time is reached when maturity reaches its climax in the history of the Churches without hasty judgment and without placing the blame on a particular party, whether in the past or present. History is a study and research of the past of mankind, peoples and nations, not an attempt to meditate over the past to express pity or boast about it, but to enable contemporary man to realize the aspects of its inability or the aspects of its innovation, to reach objective results which he could employ to promote the present, to draw up the plans of the future, and to proceed in accordance with these plans. Consequently, the Churches of the Holy Land, which share one faith and live in one geographic region, despite their inherited differences from past centuries over some theological issues, should seek to reach a mutual brotherly understanding. They should reach joint perceptions of their history, perceptions that can unite and assemble them. These Churches should do so in order to be faithful to their prophetic mission, which is to be witness of God’s love, and not to disappoint their followers, but overcome their isolation by taking steps toward common action aimed at strengthening the ties of amity and fraternity. The Church of Jerusalem was once called the “Mother of Churches” from which the apostles of the Lord Jesus surged forth at the dawn of Christianity carrying the good news of salvation to the whole world. Therefore, the Church of Jerusalem should be the refuge of all nations and peoples as it once was in its early history. It should remain the spiritual focus (Qibla) of the Christians of the world, not only because of its holy shrines, but also because of the unity, love and faith of its believers. The Churches of our country are currently living on the periphery of the ecumenical movement. They are overlooking the cherished wish, which all the Churches and Christians of the world are seeking to fulfill. These Churches should become open to one another. They should not be afraid of loosing their rigidity, introvertness and isolationism for the sake of the good of their faithful. They should not restrict their presence or goals to the protection of their inherited rights in the Holy Land or to guarding Churches that have no worshippers. Arabdom certainly makes these Churches converge as entities that have one joint background. Their faithful are Arabs, although some of their leaders are foreigners. Therefore, they should seek and work for the arabization of their institutions, leaderships and regulations. They should highlight the local nature of their existence and goals without abrogating their universal nature, all the more so because they embrace the holy shrines, which are the spiritual focus and heritage of the Christians and humanity. 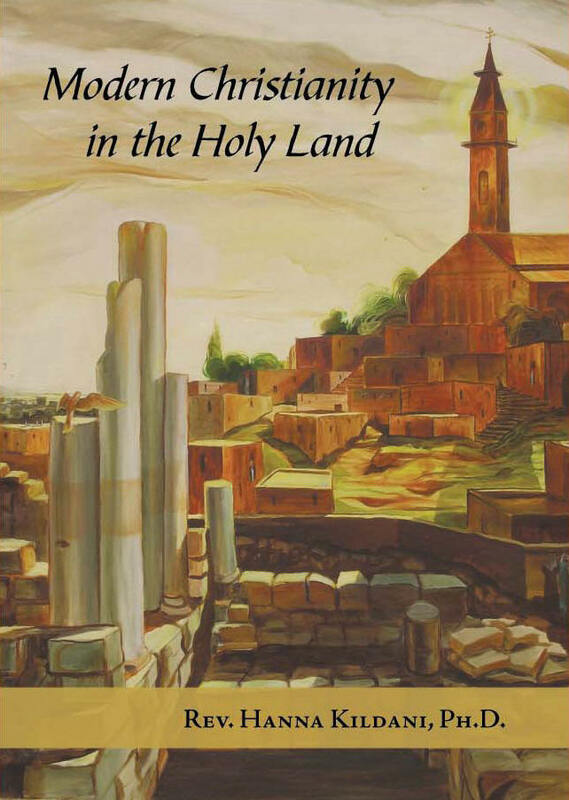 On the intellectual level, the Churches of the Holy Land should play a pioneering cultural role by bringing to the limelight the treasures of their libraries, including the documents, manuscripts, and books, particularly the manuscripts of the Christian Arab literature, so as to enrich the Arab library with the uniqueness of this literature, advance the history of the East and contribute toward the effort to chart the right features of this history. Finally, the Jewish, Christian and Islamic holy sites have given our country a distinguished feature and unique history of an international nature. The holy shrines are not a pile of stones and old buildings for pilgrims to visit, as much as they mean a spiritual and divine message that narrates the story of God’s rendezvous with man. Let us remember that peoples of the Holy Land are the living and suffering stones, which are waiting a certain rendezvous with peace and reconciliation. For Christians, this rendezvous cannot be restricted to the first Christian event and the history that evolved around it. It is an old and contemporary human, spiritual journey with an eschatological dimension, starting with the creation of man, and proceeding with his religious life until the Day of Judgment. The Church, which is rising up high toward the heavenly Jerusalem, has its roots entrenched in the earth from which its followers came. Together with them, they are inscribing genuine stands on the national issues and on the level of struggle for freedom and the common good. Meanwhile, the Holy Land Church, with its various forms and orientations, should be dedicated to the service of giant ideals that go beyond the narrow-minded perception of its history, rights, privileges, ingenuousness, and ownership and control of the land.